Champagne of a respected 20th-century vintage. Traditionally used to christen new ships. 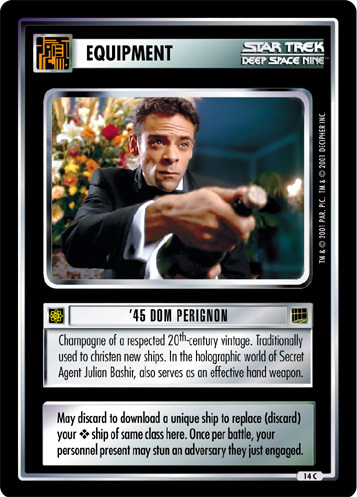 In the holographic world of Secret Agent Julian Bashir, also serves as an effective hand weapon. 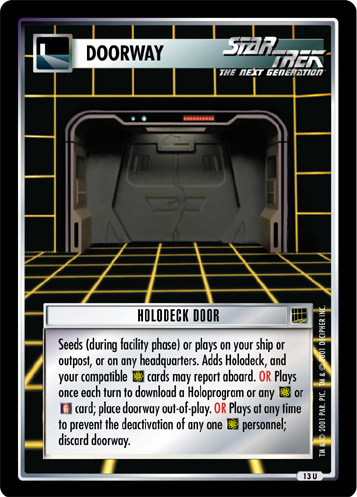 May discard to download a unique ship to replace (discard) your ❖ ship of same class here. 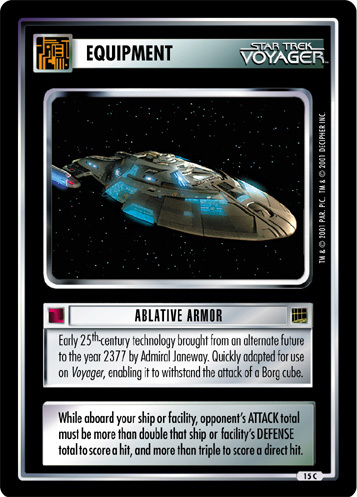 Once per battle, your personnel present may stun an adversary they just engaged.